Kate Spade New York fragrance and perfume list. In 1993, former magazine accessories editor Kate Brosnahan created a sleek black handbag under the label kate spade new york that became famous around the world. 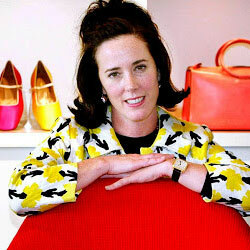 Over the years, the kate spade collection evolved to include shoes, jewelry, fragrance, and women's ready-to-wear. Today, Deborah Lloyd honors the brand's traditions as the creative director.